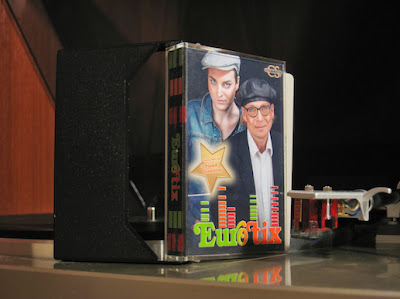 Eurotix on vinyl and cassette? Check out this cool fan art that our Russian fan "Dinya from Petrograd" made for us! Maybe this is what our Eurotix single "I Plead Insanity" would've looked like if it had been released on 7" vinyl and cassette back in the eighties? We love retro! 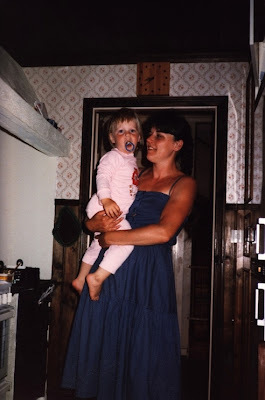 Happy fifty-seventh birthday, mum! I'm so thankful to have such a supportive mother. Thank you for always being there, and for teaching me to be myself and not take crap from anyone. Here is a photo of us two, taken in 1986. I'm dressed in pink, of course ha ha! Here is a preview of "Replay", the exclusive B-side of my synthpop band's debut single "I Plead Insanity", out now on iTunes, Spotify, Amazon UK, Amazon US, Amazon DE, CDON. 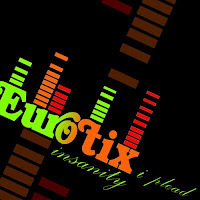 For the latest news on Eurotix and the upcoming album, keep checking our official Facebook page. Enjoy! British diver Tom Daley came out of the closet today, in a YouTube video where he reveals he's fallen for another guy. He's very brave! I think it's great that celebrities come out because it shows other LGBT people that they're not alone, and that they don't have to hide who they are. As you can see, I love my cappuccino ha ha! 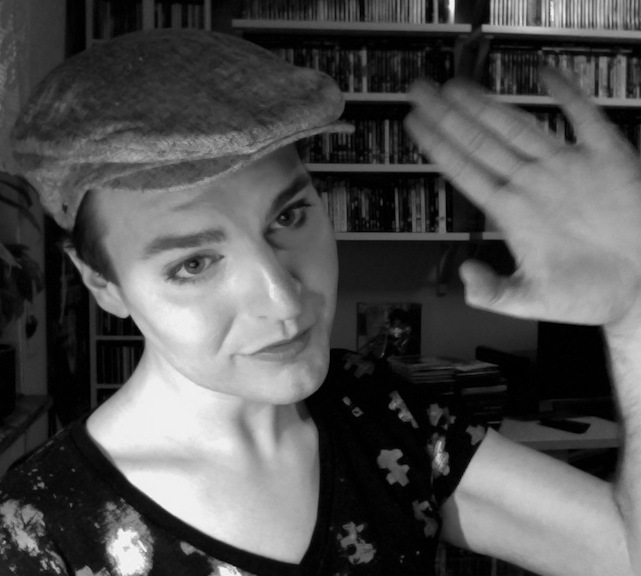 As most of you already know, Bimbo Boy is resting and I'm focusing on the new synthpop project Eurotix, where I'm the lead singer. We're currently working on our debut album, filled with tracks inspired by eighties music. You can hear some of the songs we've recorded so far right here. If you like what you hear, please like our Facebook page! This is what I look like when I'm on the bus. So now you know ha ha! Me and Larry Forsberg are working hard on our debut album and here is the first mix of our latest song "The European Man". We hope you like it. Don't forget to like Eurotix on Facebook for the latest news on our music! 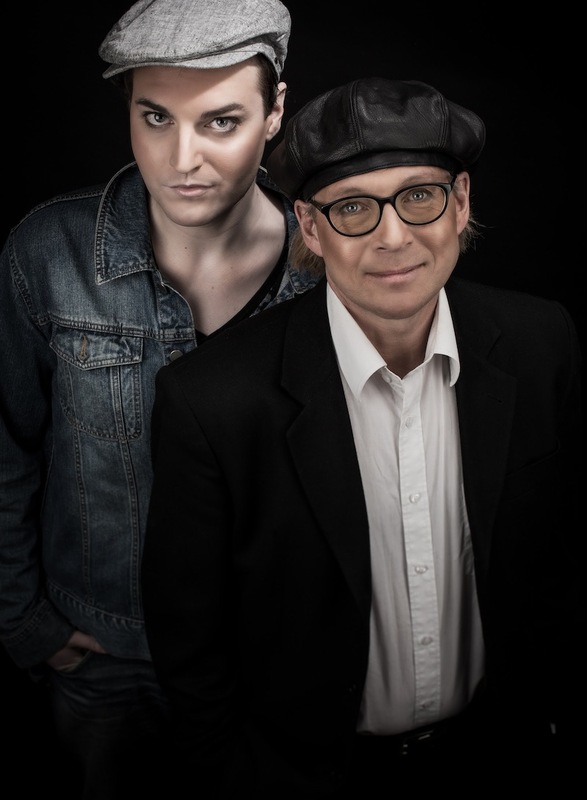 Here is the first photo of Eurotix, mine and Larry Forsberg's synthpop project. Thank God for Photoshop ha ha! Like our official Facebook page to get the latest news on our upcoming album. 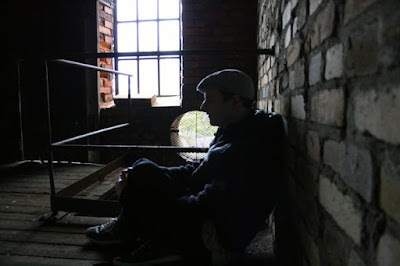 I launched my brand new website DennisAlexis.com today, where you can read more about me, my music and my writing. I hope you like it! If you're still seeing the old site, try refreshing and deleting your browser cookies. And here is the extended version of the Eurotix track "Supernatural", a cover of the Army Of Lovers classic. We hope you like it! It sounds even more synthpop than the single version. We're recording a new track next week so keep checking the blog to stay updated. Eurotix is a new synthpop project, consisting of me and my dear friend Larry Forsberg. Please like us on Facebook for news on upcoming music! Eurotix made a tribute to Swedish pop group Army Of Lovers by covering their classic track "Supernatural", one of our personal favourites. We hope you like it! 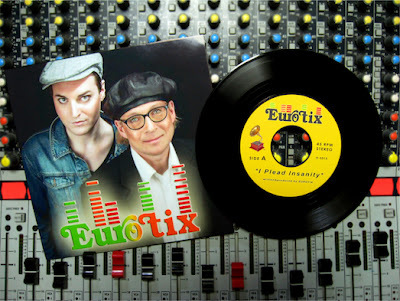 Eurotix is a new synthpop project, consisting of me and my dear friend Larry Forsberg. Please like us on Facebook for news on upcoming music! I use Facebook for staying in touch with friends and family, but also for networking and chatting with people who share my interest in music, movies etc. However, having too many "friends" started stressing me out, so now I'm unfriending people I don't know well, or people I don't speak to very often. I used to feel bad when turning friends requests down, but have realised that I need to do so for personal reasons. I don't want to sound ungrateful or snobbish. It's nothing personal, I just need to focus on my closest friends and family. So if you've been unfriended, it doesn't mean I'm angry with you or that I don't appreciate writing with you every now and then. As you know, Facebook and other social networks are updated in real time, so too many "friends" makes it harder to keep up with your loved ones. Only some of the posts on my personal Facebook profile are public, because I want to keep my privacy. But you're welcome to subscribe to my profile or like my pages Bimbo Boy, Plastic Retro or Dennis Alexis Hellström to stay updated. I'm also on Twitter, Google Plus, Tumblr and Instagram. I don't mind getting to know new people and having online friends, but I can't accept requests from all the people I sporadically chat with. If I did, I would drown. If people choose to take it personally, that's their prerogative, and I'm sorry about that, but I have to do what's best for me. Time for a flashback! My Bimbo Boy song "Je Suis Une Superstar" was originally released in 2005. I just realized this version isn't on YouTube so I made a little video using "The Sims 3". It's about Jimmie Crocker who has a hot dream about his cute mailman. Enjoy! The song was written by me and Måns Ek, and produced by Måns Ek and Istvan Stenberg. You can download a free MP3 of the track from Soundcloud. Stay tuned for more news about my new project Eurotix! Here is the dance remix of "The Secret" by Eurotix. It was inspired by "Fade To Grey" by Visage. Eurotix is mine and Larry Forsberg's new synthpop project. Please like us on Facebook for news on our upcoming music! Here is the first mix of the Eurotix ballad "The Secret". It's actually the first ballad I've ever recorded. Eurotix is mine and Larry Forsberg's new synthpop project. Please like us on Facebook for news on our upcoming music! Don't force gender roles on children! I will never understand parents who don't allow their children to be themselves. If a boy wants to play with dolls and wear pink, let him. If a girl wants to play with cars and cut her hair short, let her. It should be their choice. Forcing gender roles on children is bad parenting and it saddens me that this is still an issue! 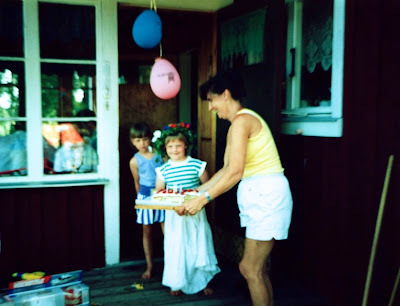 Here is a photo of me, taken on my fifth birthday. I was so happy! And no, playing with dolls and dressing up as a girl didn't "turn me gay". I was born this way and I'm proud of my parents for allowing me to be myself, no matter what. Please share a link to this post to show your support! "Girls can wear jeans and cut their hair short, wear shirts and boots. 'Cause it's OK to be a boy. But for a boy to look like a girl is degrading. 'Cause you think that being a girl is degrading. But secretly you'd love to know what it's like... Wouldn't you? What it feels like for a girl." 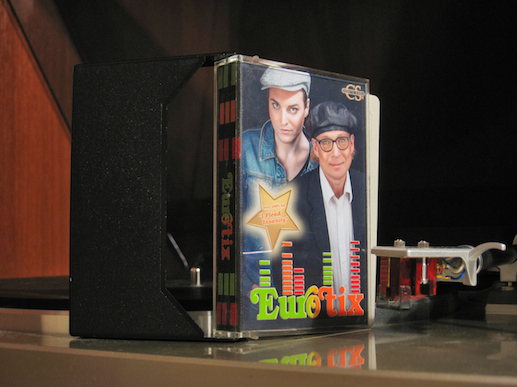 Me and my friend Larry Forsberg have started a brand new synthpop project called Eurotix. Here is the first mix of our third track "We Could Have Been". I hope you'll like it. As you can hear, we both love the sound of the eighties. Please like us on Facebook for news on our upcoming music! Me and my friend Larry Forsberg have started a brand new synthpop project called Eurotix. Here is the first mix of our second track "Decadence". I hope you'll like it. As you can hear, we both love the sound of the eighties. Please like us on Facebook for news on our upcoming music! Me and my friend Larry Forsberg have started a brand new synthpop project called Eurotix. Here is the first mix of our debut track "I Plead Insanity". I hope you'll like it. As you can hear, we both love the sound of the eighties. Please like us on Facebook for news on our upcoming music!